Before collaborating with the microfinance institution MDO HUMO, Faizigul faced financial difficulties in her life. At the beginning, she was only engaged in animal husbandry, then when her son married a young dressmaker, she learned from her daughter-in-law to sew dresses and wanted to start her own business in this field. Unfortunately, due to lack of finances, she could not realize her plans. In 2011, I went to Russia and got a job in the confectionery shop "Karat" of Moscow city. There, I learned how to bake cakes, pastries and other food from my mentor Lyudmila Petrovna. I worked in this confectionery shop for 3 years. I was so interested in this job that when I returned to my hometown, I opened my small business. I met one of the employees of the microfinance institution HUMO, who came to us to buy sambusas (patties stuffed with meat). I found out from her that HUMO provides loan products to citizens. In order to improve her activity, Ashurgul wanted to buy an electronic sewing machine. Her neighbor was a client of the microfinance institution MDO HUMO, so she took his advice and turned to this organization. Ashurgul together with her son, received a group loan in January 2018. When Ashurgul took this loan, she had a fear and uncertainty that she would be able to repay it and that her life would improve. For 6 years, he has been raising sheeps in the pastures and mountains of the village of Mashal to provide for his family. 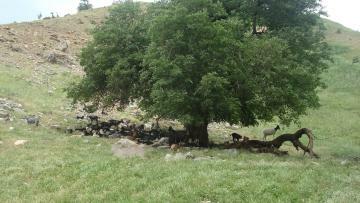 In the fall and winter, he grazes animals mainly on lowland foothill pastures; in spring and summer, in the mountains. "The work of a shepherd is not easy. Only the shepherd that will deeply comprehend the secret of sheep farming, take care of animals and protect them from bad weather, attacks of predators, diseases day and night in the heat and cold, can achieve good success in the profession." says Akbarjon. Firuz Qurbonov Davlatnazarovich was born on 6 November 1980, in the Hamadoni district, province of Khatlon. He comes from a working-class family and now lives with his wife and children. Ulugbek Fayzitdinov Ismonalievich was born in a farmer family. Even in school years he was interested in livestock breeding and therefore helped his parents in their work. The time spent with the animals gave him great happiness and his dream was to continue his parents’ job. After graduating, Ulugbek went to the army. Returning from the service, Ulugbek married and then went to work in Russia to provide for the family. After several years, he returned to his homeland and bought livestock. However, his income was barely enough to cover his family’s expenses. Gulnora Khidirova Elmurodovna is a 27-year-old resident of Gissar, Tajikistan. Her mother was a fish trader. Gradually, her mother taught her how to do her job. Now Gulnora has been independently working in this field for 10 years. She sells dried and fresh fish. Gulnora received a loan from Humo for 3000 somoni (285 euros) to expand business. 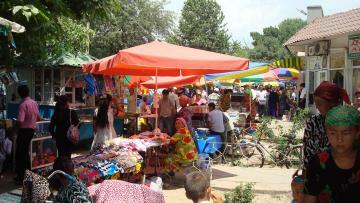 Now she rents a sales point in the central market of Gissar and her activity is quite successful. She repays on time and she is an active Humo client. Since ancient times, the Tajiks are renowned for their hospitality as they are always glad to greet guests. In this success story, we will tell you about Adolat Aslamova Akhtamjonovna, a Tadjik woman willing to improve her business and living conditions. Adolat Aslamova is a modest woman who makes a living and provides for her family through honest work. Her efforts are meant to fulfil all her children’s needs. Tajikistan is a relatively unknown country which became independent after the collapse of the former Soviet Union in 1991. It shares frontiers with Afghanistan to the south, Uzbekistan to the west, Kyrgyzstan to the north and China to the East. The poorest country in Central Asia and the former Soviet Union, certain particularities demonstrate the rich history of the region. Indeed, the Tajiks are the only people in Central Asia who do not speak a Turkish language. Tajik is a Persian language closely resembling the Persian dialect spoken in Iran and Dari, spoken in Afghanistan, but it is written in the Cyrillic alphabet which was adopted by the Russians at the time of the annexation at the end of the 19th century. Its recent history is marked by a civil war which began at the time of the break up of the Soviet Union resulting in the loss of nearly 50 000 lives. Today the Republic of Tajikistan is still considered by international observers to be relatively unstable, and its institutions, beset by problems caused by the country’s poverty, are very fragile. Corruption often proves to be an obstacle to the development of the country’s fair trade. However it should be noted that education is guaranteed for all and statistics show that literacy in the country is at almost 100%. Geographically mountains account for 93% of the country and its climate is very continental as the sea is situated thousands of kilometres away. The Tajiks claim to be heirs of the Samanid Empire which was the first Persian state to be reformed after being conquered by the Arabs in the 7th and 8th century. The Samanid Empire was the birthplace of towns such as Bukhara and Samarkand which developed thanks to the tradesmen who passed through them travelling on the Silk Road. The Samanid Empire was gradually invaded by Turkish tribes from Central Asia and the Altai Steppe (territory which today is shared between Mongolia and China) but it is Persian culture which continues to dominate the region. The present day Tajikistan was conquered by the Russians in the 19th century representing the Southern limit of Russian influence in Asia at that period. The Republic of Tajikistan was created in 1924 and was an integral part of the Soviet Union at the collapse of which a violent civil war broke out, lasting from 1992 until 1997, opposing the partisans of the ancient communist regime to several opposing parties, ranging from liberal democrats to Islamic groups. The opposition finally seized control and the president and the government have remained in power since 1997, upheld by two elections in the 2000s which, according to international observers, were tainted by corruption and fraud. 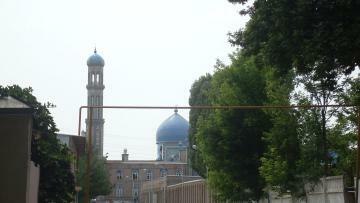 Overall Tajikistan’s culture and language is Persian. The majority of the population are Sunni Muslims. The Tajiks have adopted certain elements of Russian culture which were predominant in the region for over a century particularly the fact that the Tajik language is a Persian language written in the Cyrillic alphabet. 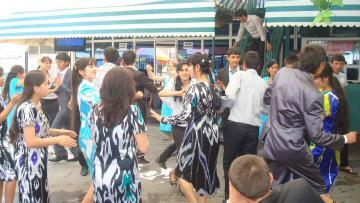 Other Turkish ethnic minorities can also be encountered (Uzbeks and Kyrgyzs). The Pamir Mountains cover the main part of the country to the east and the south and the inhabitants speak a variety of Pamir languages which today are considered in danger of becoming extinct since they are only spoken by a few hundred thousand people. Tajikistan is a country with very few banking facilities. Microfinance plays an important role, especially in rural areas where microfinance institutions are often the only means for the population to obtain financial services. There are around forty institutions present in the country, and our partner HUMO is classed fourth in terms of serving the population. Humo’s mission is to "provide access to a wide range of high-quality banking services, innovative financial solutions for the population and representatives of micro, small and agribusiness, in order to promote social and economic development of the Republic of Tajikistan". HUMO combines its ambition to become one of the main players in the sector of microfinance in Tajikistan (today it is the 4th largest institution) with the objective of controlling expansion, by closely monitoring its clients’ situations and promoting transparency in the sector particularly so that the risk of the population falling into excessive debt is avoided. “HUMO and Partners” arose from a microfinance programme initiated by CARE, an American NGO. At the end of 2004 the programme was transformed resulting in a microfinance institution being registered with the Tajik authorities. Historically HUMO’s mission is to serve the farming populations using a group methodology. These groups, composed of between 3 and 10 people (of whom a president and a treasurer are nominated) are set up prior to the loan request being made. The groups then meet in order to take part in an orientation session introducing them to the principles of microcredit, which enables them to obtain access to a loan which finances an income generating activity. Each member receives an individual loan and acts as guarantor on a group level for all the other members of the group. Since quite recently HUMO distributes individual loans which are often targeted at clients with a more stable and substantial economic activity. At the end of 2008, HUMO received from the Tajik Bank a licence accorded by the Central Bank of Tajikistan and hence modified its status from an NGO to a “Non- bank financial institution.” This new status enabled it to obtain more funding and thus expand further. 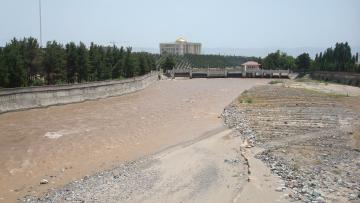 In 2009, Tajikistan was hit by the financial crisis. Since a large proportion of its domestic income was dependant on Tajik emigrants residing in Russia, (over a million out of a total population of approximately 7 million), the country was beset by a serious recession which affected HUMO’s clients’ business activities. The institution, considering the high risk of non-repayment of loans and excessive debt involved for its clients, decided to drastically reduce the number of loans being disbursed. Today the recession is over and HUMO has begun to expand again, setting up new branches in the North of the Country. HUMO allocates group or individual loans to help the development of agricultural ventures (livestock farming, cultivation) and businesses (merchants, cottage industries or services). 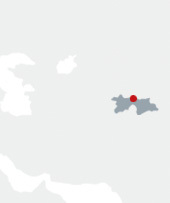 Tajikistan was part of the former Soviet Union. Many of HUMO’s clients have progressed from the status of employee in factories to being self-employed in all types of activities, for example taxi drivers, cobblers, market traders… A large proportion of HUMO’s portfolio focuses on agricultural ventures, particularly livestock farming which is often complementary to other economic ventures, for example a certain quantity of HUMO’s clients are school teachers.